Click here to DONATE to support the care of Chalk! Offered by Horse Feathers Equine Center Inc.
On a scale of 1 to 5 with 1 being Calm and 5 being Spirited, Chalk is a 1.00. Still in training to learn cues/aids. He is doing well but needs to continue on. Chalk is located at Horse Feathers Equine Center, 6320 N Highway 74C, Guthrie, OK 73044. Horses are stalled for 1-3; hours per day, on average. Not sure how the question about Ownership to be answered if it is a Lifetime or not? This is why we have return numbers. We have in our contract for the horse to be returned here if it is not wanted, unable to care for, etc to protect the horse from going into bad circumstances or to auction pipeline. The "owner" can treat the horse like any other owned horse--shows, trails, play days and more. We don't tell them what they can do other than not abuse or neglect it. 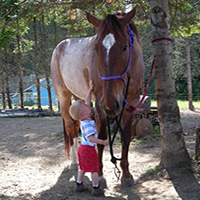 Rehabilitate horses facing abuse and neglect, injured or abandoned to best optimal health. 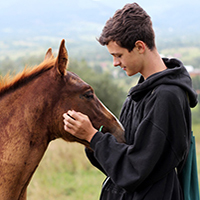 Provide assistance programs for those who can no longer care for their beloved animal thereby keeping the horse in its environment. 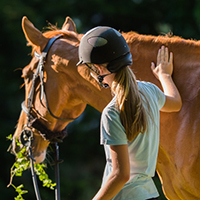 Provide Equine Education to the public, Equine Assisted Psychotherapy for members of the community. Every horse we rehabilitate receives medical attention to address all immediate physical needs, and ongoing veterinary, farrier and alternative/holistic care where needed. We utilize a tailored training program specific to each horse to help them realize their full potential, work within its limitations and work to address the issues that cruelty or neglect has left on their lives. Our staff uses proven methods and techniques to help our horses become balanced, confident and as productive as possible. 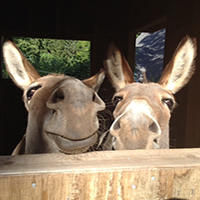 The ultimate goal is to find a forever, lifelong home that is a perfect fit for each horse and their adoptive family. We strive to prevent future cruelty towards horses by educating the community on responsible equine husbandry through hands on instruction, clinics, and classes. Utilizing those not adoptable gives a second chance at a purpose and fulfilled life. 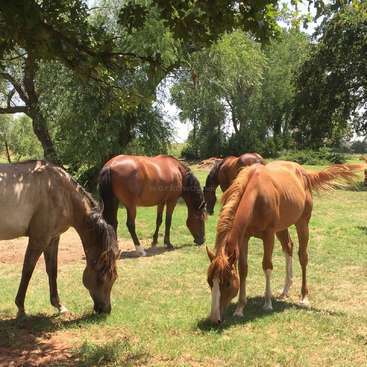 Those horses not adoptable into a loving forever home due to illness, age, or other circumstances will remain at the facility to live their lives out in a humane fashion. Those deemed able to participate, will be used to assist with EAGALA, Equine Assisted Therapy, helping those who come for issues such as PTSD, Trauma, Developmental Disorders, Drug & Alcohol issues, and any other Mental Health disorder. We work with OSU/OKC Vet Tech Program also in students coming to learn about equine vet tech issues and working hands on. Currently we are developing a Seniors Program. President is Credentialed Peer Recovery Support Specialist through Dept of Mental Health and Substance Abuse. 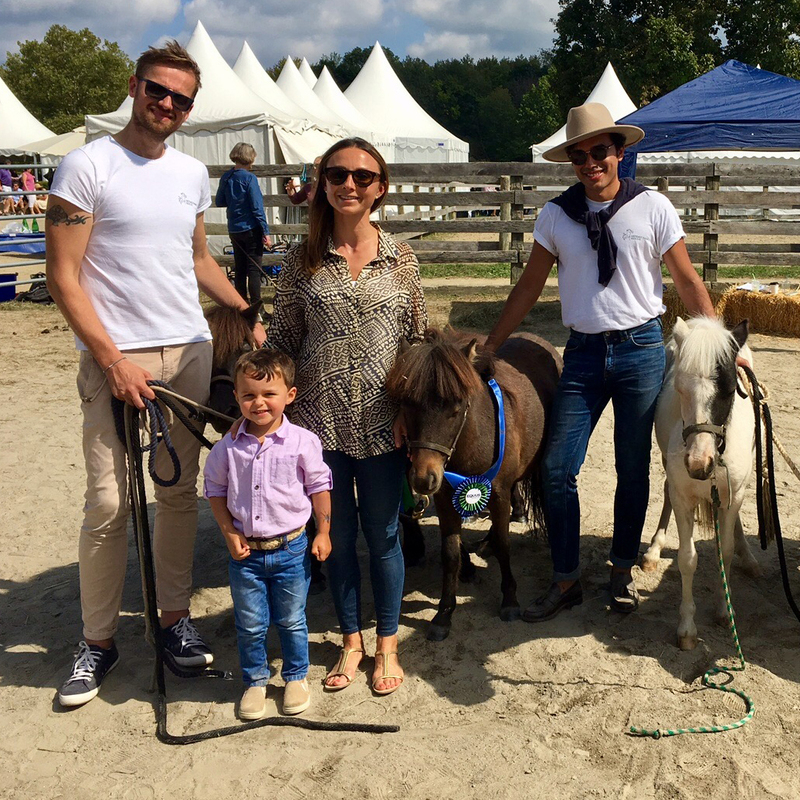 Prospective adopters come to learn and interact with the horse they are interested in to be educated about that horse as well as to determine any areas of education needed to further assist in a successful adoption. Board members owns the facility where programs are conducted. 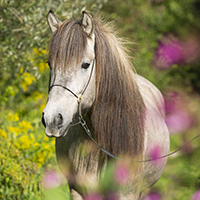 Stallions under 2 that can be isolated prior to castration or transported to the equine hospital to have procedure done before QT to prevent any accidental breedings. Purchased: will accept from someone else who purchases at auction and transfers ownership to facility. Will not actively participate in auctions and will not support "brokers" who purchase from KB and then "re-sell" for profit. Intake: Depends on individual circumstances. Some owners provide records, will update coggins/vaccines before surrender. Others who are unable we provide upon intake. Formal Training: individualized for each horse depending on health, injuries, rehab condition with vet consultation, and daily energy levels. All horses are sedated prior to euthanasia with Beuthanasia to prevent any trauma from the procedure. ✔ Our agreement states that our organization reserves the right to visit the horse at any time. Additional explanation: Times and clients varies on time of year and they phase out. Currently we are not up "full time" while facility upgrades are happening and other programs are in development. Briefly describe the nature/level of the certification: Peer Recovery Support Specialist. Renewed yearly and CEU's required. Additional information about this instructor: Kim Hill is a Volunteer Instructor with our facility that reached a riding level of Gran Prix. 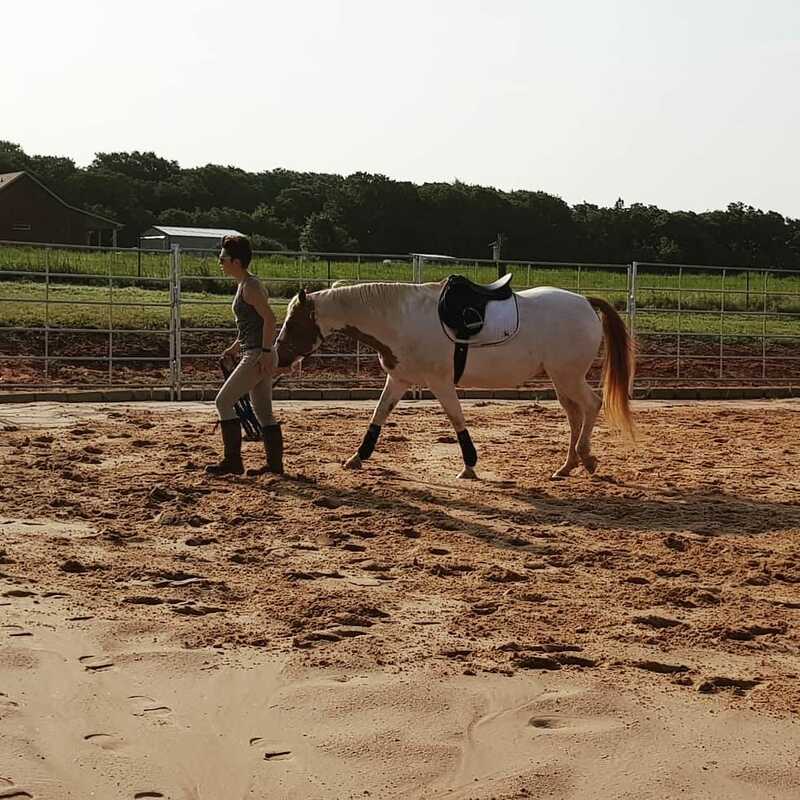 Her many years of experience is instrumental in us acquiring and securing adoptions of horses due to her spending time on Ground Manners, Lunging, Saddle Preparation. 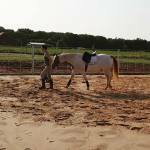 She is working with the regular Volunteers in teaching them proper handling, tacking, lunging and ground manner work with horses.